Dr. Manpreet Chhabra finished his medical degree at the prestigious All India Institute of Medical Sciences in New Delhi, India and did his ophthalmology residency at the University of Cincinnati and pediatric ophthalmology fellowship at the Northwestern University in Chicago. 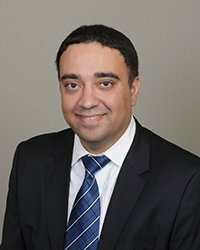 Dr. Chhabra is board certified and is a member of various societies including American Academy of Ophthalmology, American Association for Pediatric Ophthalmology and Strabismus and Texas Medical Association amongst others. Dr. Chhabra has published articles in scientific journals in his field and authored textbook chapters and has presented in national and international meetings. He has also served as a reviewer for professional ophthalmology journals. He has won many awards including the “best poster” award for his research work at the American Academy of Ophthalmology meeting in Chicago in 2012. Dr. Chhabra served as the President of the Rock Island County Medical Society in Illinois in 2015. He has participated as the lead surgeon in humanitarian mission trips to Central and South America. He is involved and active in creating awareness for the eye conditions in the local communities. Outside of medicine, he loves to spend time with his family and likes to travel and enjoy outdoor activities and sports.